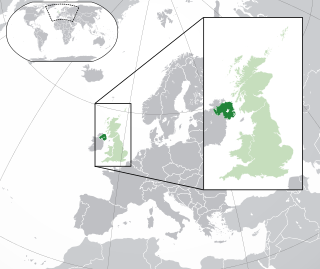 Belfast is a port city in the United Kingdom and the capital city of Northern Ireland, on the banks of the River Lagan on the east coast of Ireland. 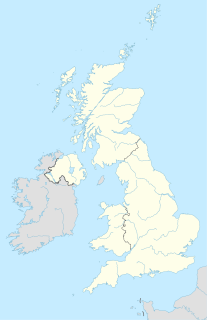 It is the largest city in Northern Ireland and second largest on the island of Ireland. It had a population of 333,871 in 2015. A shipyard is a place where ships are built and repaired. These can be yachts, military vessels, cruise liners or other cargo or passenger ships. Dockyards are sometimes more associated with maintenance and basing activities than shipyards, which are sometimes associated more with initial construction. The terms are routinely used interchangeably, in part because the evolution of dockyards and shipyards has often caused them to change or merge roles. Éamon de Valera was a prominent statesman and political leader in 20th-century Ireland. His political career spanned over half a century, from 1917 to 1973; he served several terms as head of government and head of state. He also led the introduction of the Constitution of Ireland. 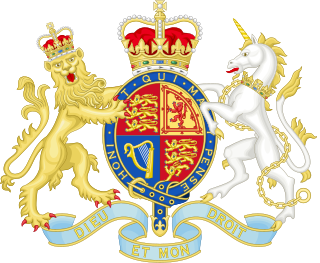 Basil Stanlake Brooke, 1st Viscount Brookeborough,, styled as Sir Basil Brooke, 5th Baronet from 1907–52, was an Ulster Unionist Party (UUP) politician who became the third Prime Minister of Northern Ireland in May 1943, holding office until March 1963. John Clarke MacDermott, Baron MacDermott, MC, PC, PC (NI) was a Northern Irish politician and lawyer who was Lord Chief Justice of Northern Ireland from 1951 to 1971. Telegraphy is the long-distance transmission of textual or symbolic messages without the physical exchange of an object bearing the message. Thus semaphore is a method of telegraphy, whereas pigeon post is not. Lieutenant Colonel Alexander Gordon, Parliamentary and Financial Secretary at the Ministry of Finance (i.e. Chief Whip), resigned on 13 June 1940,  explaining to the Commons that the government was "quite unfitted to sustain the people in the ordeal we have to face." John Edmond Warnock PC(NI) KC was an Irish barrister and politician. The Chief Whip is a political office in some legislatures whose task is to administer the whipping system that tries to ensure that members of the party attend and vote as the party leadership desires. James Mackie & Sons were re-equipped in 1938. They were the primary supplier of Bofors anti-aircraft shells. Harland’s Engineering works built tanks. They designed the Churchill. Aero linen for covering aircraft, such as the Hawker Hurricane, and military glider frames was manufactured by a number of Belfast flax spinning mills, such as The York Street Flax Spinning Co.; Brookfield Spinning Co.; Wm. Ewart's Rosebank Weaving Co.; and the Linen Thread Co.
Other Belfast factories manufactured gun mountings, ordnance pieces, aircraft parts and ammunition. There was little preparation for the conflict with Germany. However at the time Lord Craigavon, Prime Minister of Northern Ireland since its inception in 1921, said: "Ulster is ready when we get the word and always will be." He was asked, in the N.I. parliament: "if the government realized 'that these fast bombers can come to Northern Ireland in two and three quarter hours' ". His reply was: "We here today are in a state of war and we are prepared with the rest of the United Kingdom and Empire to face all the responsibilities that imposes on the Ulster people. There is no slacking in our loyalty." Belfast, the city with the highest population density had the lowest proportion of air-raid shelters. Prior to the "Belfast Blitz" there were only 200 public shelters, although 4,000 households had built their own shelters. No searchlights were set up, as they had only arrived on 10 April. There were no night-fighters. On the night of the raid, no Royal Air Force (RAF) aircraft took to the air. There were only 22 anti-aircraft guns, six light, and sixteen heavy. On the night, only seven were operated for a short time. There was no smokescreen ability. There were some barrage balloons. These air-raid shelters were Anderson shelters. They were sheets of corrugated galvanised iron covered in earth. Since most casualties were caused by falling masonry rather than by blast, they provided effective shelter for those who had them. Few children had been successfully evacuated. The "Hiram Plan" initiated by Dawson Bates, the Home Affairs Minister, had failed to materialise. Fewer than 4,000 women and children were evacuated. There were still 80,000 more in Belfast. Even the children of soldiers had not been evacuated, with calamitous results when the married quarters of Victoria Barracks received a direct hit. There had been a number of small bombings, probably by planes that missed their targets over the River Clyde in Glasgow or the cities of the northwest of England. On 24 March 1941, John MacDermott, Minister for Security, wrote to Prime Minister John Andrews, expressing his concerns that Belfast was so poorly protected: "Up to now we have escaped attack. So had Clydeside until recently. Clydeside got its blitz during the period of the last moon. There [is] ground for thinking that the ... enemy could not easily reach Belfast in force except during a period of moonlight. The period of the next moon from say the 7th to the 16th of April may well bring our turn." MacDermott would be proved right. The first deliberate raid took place on the night of 7 April. (Some authors count this as the second raid of four). It targeted the docks. Neighbouring residential areas were also hit. Six Heinkel He 111 bombers, from Kampfgruppe 26, flying at 7,000 feet (2,100 m), dropped incendiaries, high explosive and parachute-mines. By British mainland blitz standards, casualties were light. Thirteen lost their lives, including a soldier killed when an anti-aircraft gun, at the Balmoral show-grounds, misfired. The most significant loss was a 4.5-acre (1.8 ha) factory floor for manufacturing the fuselages of Short Stirling bombers. The Royal Air Force announced that Squadron Leader J.W.C. Simpson shot down one of the Heinkels over Downpatrick. The Luftwaffe crews returned to their base in Northern France and reported that Belfast's defences were, "inferior in quality, scanty and insufficient". This raid overall causing relatively little damage but a lot was revealed about Belfast's inadequate defences. William Joyce (known as "Lord Haw-Haw") announced in radio broadcasts from Hamburg that there will be "Easter eggs for Belfast". That evening over 150 bombers left their bases in northern France and the Netherlands and headed for Belfast. There were Heinkel He 111s, Junkers Ju 88s and Dorniers. At 10:40 pm the air raid sirens sounded. Accounts differ as to when flares were dropped to light up the city. The first attack was against the city's waterworks, which had been attacked in the previous raid. High explosives were dropped. Initially it was thought that the Germans had mistaken this reservoir for the harbour and shipyards, where many ships, including HMS Ark Royal were being repaired. However that attack was not an error. Three vessels nearing completion at Harland and Wolff's were hit as was its power station. Wave after wave of bombers dropped their incendiaries, high explosives and land-mines. When incendiaries were dropped, the city burned as water pressure was too low for effective firefighting. Public buildings destroyed or badly damaged included Belfast City Hall's Banqueting Hall, the Ulster Hospital for Women and Children and Ballymacarrett library, (the last two being located on Templemore Avenue). Strand Public Elementary school, the LMS railway station, the adjacent Midland Hotel on York Road, and Salisbury Avenue tram depot were all hit. Churches destroyed or wrecked included Macrory Memorial Presbyterian in Duncairn Gardens; Duncairn Methodist, Castleton Presbyterian on York Road; St Silas's on the Oldpark Road; St James's on the Antrim Road; Newington Presbyterian on Limestone Road; Crumlin Road Presbyterian; Holy Trinity on Clifton Street and Clifton Street Presbyterian; York Street Presbyterian and York Street Non-Subscribing Presbyterian; Newtownards Road Methodist and Rosemary Street Presbyterian (the last of which was not rebuilt). There was no opposition. In the mistaken belief that they might damage RAF fighters, the anti-aircraft batteries ceased firing. But the RAF had not responded. The bombs continued to fall until 5 am. and Major Seán O'Sullivan, who produced a detailed report for the Dublin government. There are other diarists and narratives. Brian Barton of Queen's University, Belfast, has written most on this topic. There is an eye-witness account from John Potter online. There were few bomb shelters. An air raid shelter on Hallidays Road received a direct hit, killing all those in it. Many people who were dug out of the rubble alive had taken shelter underneath their stairs and were fortunate that their homes had not received a direct hit or caught fire. 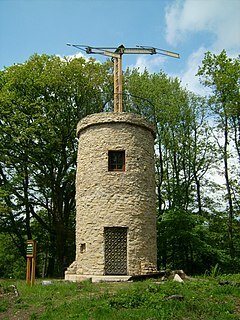 In the New Lodge area people had taken refuge in a mill. Tragically 35 were crushed to death when the mill wall collapsed. In another building, the York Street Mill, one of its massive sidewalls collapsed on to Sussex and Vere Streets, killing all those who remained in their homes. Major O'Sullivan reported that "In the heavily 'blitzed' areas people ran panic-stricken into the streets and made for the open country. As many were caught in the open by blast and secondary missiles, the enormous number of casualties can be readily accounted for. It is perhaps true that many saved their lives running but I am afraid a much greater number lost them or became casualties." That night almost 300 people, many from the Protestant Shankill area, took refuge in the Clonard Monastery in the Catholic Falls Road. The crypt under the sanctuary and the cellar under the working sacristy had been fitted out and opened to the public as an air-raid shelter. Prayers were said and hymns sung by the mainly Protestant women and children during the bombing. The mortuary services had emergency plans to deal with only 200 bodies. 150 corpses remained in the Falls Road baths for three days before they were buried in a mass grave, with 123 still unidentified. Two hundred and fifty-five corpses were laid out in St George's Market. Many bodies and body parts could not be identified. Mass graves for the unclaimed bodies were dug in the Milltown and Belfast City Cemeteries. (Great War casualties) had died in hospital beds, their eyes had been reverently closed, their hands crossed to their breasts. Death had to a certain extent been ... made decent. It was solemn, tragic, dignified, but here it was grotesque, repulsive, horrible. No attendant nurse had soothed the last moments of these victims; no gentle reverent hand had closed their eyes or crossed their hands. With tangled hair, staring eyes, clutching hands, contorted limbs, their grey-green faces covered with dust, they lay, bundled into the coffins, half-shrouded in rugs or blankets, or an occasional sheet, still wearing their dirty, torn twisted garments. Death should be dignified, peaceful; Hitler had made even death grotesque. I felt outraged, I should have felt sympathy, grief, but instead feelings of revulsion and disgust assailed me. continuous trek to railway stations. The refugees looked dazed and horror stricken and many had neglected to bring more than a few belongings... Any and every means of exit from the city was availed of and the final destination appeared to be a matter of indifference. Train after train and bus after bus were filled with those next in line. At nightfall the Northern Counties Station was packed from platform gates to entrance gates and still refugees were coming along in a steady stream from the surrounding streets ... Open military lorries were finally put into service and even expectant mothers and mothers with young children were put into these in the rather heavy drizzle that lasted throughout the evening. On the 17th I heard that hundreds who either could not get away or could not leave for other reasons simply went out into the fields and remained in the open all night with whatever they could take in the way of covering. Moya Woodside  noted in her diary: "Evacuation is taking on panic proportions. Roads out of town are still one stream of cars, with mattresses and bedding tied on top. Everything on wheels is being pressed into service. People are leaving from all parts of town and not only from the bombed areas. Where they are going, what they will find to eat when they get there, nobody knows." Humanity knows no borders, no politics, no differences of religious belief. Yesterday for once the people of Ireland were united under the shadow of a national blow. Has it taken bursting bombs to remind the people of this little country that they have common tradition, a common genius and a common home? Yesterday the hand of good-fellowship was reached across the Border. Men from the South worked with men from the North in the universal cause of the relief of suffering. By 6 am, within two hours of the request for assistance, 71 firemen with 13 fire tenders from Dundalk, Drogheda, Dublin, and Dún Laoghaire were on their way to cross the Irish border to assist their Belfast colleagues. In each station volunteers were asked for, as it was beyond their normal duties. In every instance, all stepped forward. They remained for three days, until they were sent back by the Northern Ireland government. By then 250 firemen from Clydeside had arrived. Eduard Hempel, the German Minister to Ireland, visited the Irish Ministry for External Affairs to offer sympathy and attempt an explanation. J.P. Walshe, assistant secretary, recorded that Hempel was "clearly distressed by the news of the severe raid on Belfast and especially of the number of civilian casualties." He stated that "he would once more tell his government how he felt about the matter and he would ask them to confine the operations to military objectives as far as it was humanly possible. He believed that this was being done already but it was inevitable that a certain number of civilian lives should be lost in the course of heavy bombing from the air". The government was blamed by some for inadequate precautions. Tommy Henderson, an Independent Unionist MP in the House of Commons of Northern Ireland, summed up the feeling when he invited the Minister of Home Affairs to Hannahstown and the Falls Road, saying "The Catholics and the Protestants are going up there mixed and they are talking to one another. They are sleeping in the same sheugh (ditch), below the same tree or in the same barn. They all say the same thing, that the government is no good." There was a second massive air raid on Belfast on Sunday 4–5 May 1941, three weeks after that of Easter Tuesday. Around 1 am, Luftwaffe bombers flew over the city, concentrating their attack on the Harbour Estate and Queen's Island. Nearby residential areas in east Belfast were also hit when "203 metric tonnes of high explosive bombs, 80 land mines attached to parachutes, and 800 firebomb canisters containing 96,000 incendiary bombs"  were dropped. Over 150 people lost their lives in what became known as the 'Fire Blitz'. Casualties were lower than at Easter, partly because the sirens had sounded at 11.45 pm while the Luftwaffe attacked more cautiously from a greater height. St George's Church in High Street was damaged by fire. Again the Irish emergency services crossed the border, this time without waiting for an invitation. The Emergency was the state of emergency which existed in the state of Ireland during the Second World War. The state of Ireland remained neutral throughout the war. "The Emergency" has been used metonymically in historical and cultural commentary to refer to the state during the war. The state of emergency was proclaimed by Dáil Éireann on 2 September 1939, allowing the passage of the Emergency Powers Act 1939 by the Oireachtas the following day. This gave sweeping new powers to the government for the duration of the Emergency, including internment, censorship of the press and correspondence, and government control of the economy. The Emergency Powers Act lapsed on 2 September 1946. Although the state of emergency itself was not rescinded until 1 September 1976, no emergency legislation was ever in force after 1946 to exploit this anomaly. Events from the year 1941 in Ireland. The Manchester Blitz was the heavy bombing of the city of Manchester and its surrounding areas in North West England during the Second World War by the German Luftwaffe. It was one of three major raids on Manchester, an important inland port and industrial city; Trafford Park in neighbouring Stretford was a major centre of war production. The Southampton Blitz was the heavy bombing of Southampton by the Nazi German Luftwaffe during World War II. Southampton was a strategic bombing target for the Luftwaffe as it contained both busy docks with associated business premises and factories and the Supermarine factory building Spitfires in Woolston. Being a large port city on the south coast it was within easy reach of German airfields in France. Events during the year 1941 in Northern Ireland. North Strand Road is a street in the Northside of Dublin, Ireland. It links the city centre from Connolly Station to Fairview by road. The first bombing of Dublin in World War II occurred early on the morning of 2 January 1941, when German bombs were dropped on the Terenure area of south Dublin. This was followed, early on the following morning of 3 January 1941, by further German bombing of houses on Donore Terrace in the South Circular Road area of south Dublin. A number of people were injured, but no one was killed in these bombings. Later that year, on 31 May 1941, four German bombs fell in north Dublin, one damaging Áras an Uachtaráin but with the greatest impact in the North Strand area, killing 28 people. However, the first bombing of the Republic of Ireland had taken place several months earlier, on 26 August 1940, when the German Luftwaffe bombed Campile, County Wexford, killing three people. The Hull Blitz was the bombing campaign that targeted the English port city of Kingston upon Hull by the German Luftwaffe during the Second World War. The Cardiff Blitz ; refers to the bombing of Cardiff, Wales during World War II. Between 1940 and the final raid on the city in March 1944 approximately 2,100 bombs fell, killing 355 people. The Nottingham Blitz was an attack by the Nazi German Luftwaffe on Nottingham during the night of 8–9 May 1941. The Swansea Blitz was the heavy and sustained bombing of Swansea by the German Luftwaffe from 19 to 21 February 1941. A total of 230 people were killed and 397 were injured. Swansea was selected by the Germans as a legitimate strategic target due to its importance as a port and docks and the oil refinery just beyond, and its destruction was key to Nazi German war efforts as part of their strategic bombing campaign aimed at crippling coal export and demoralising civilians and emergency services. The term Bath Blitz refers to the air raids by the German Luftwaffe on the British city of Bath, Somerset, during World War II. The Leeds Blitz comprised nine air raids on the city of Leeds, the United Kingdom's third largest city, by the Nazi German Luftwaffe. The heaviest raid took place on the night of 14/15 March 1941, affecting the city centre, Beeston, Bramley and Armley. The city was subjected to other raids during the Second World War, but they were relatively minor; only the March 1941 raid caused widespread damage, including to the city's museum and its artefacts. The Newcastle Blitz refers to the strategic bombing of Newcastle-upon-Tyne, England by the Nazi German Luftwaffe during the second world war. Close to 400 people were killed between July 1940 and December 1941 during bombing raids on the city. ↑ BBC (11 April 2001). "The Belfast blitz is remembered". BBC News. Retrieved 19 January 2015. 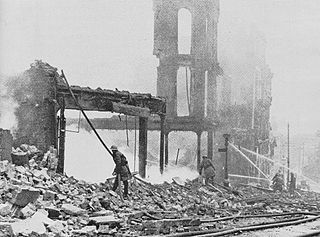 On 16 April 1941 Belfast was devastated as it bore the worst air raid of any city outside London […] It was one of the largest German strike forces used to date in the war and the Luftwaffe was heading for a city later described as the most poorly defended in the United Kingdom. ↑ Belfast Central Library. "Memories of the Belfast Blitz". WW2 People's War. BBC. Retrieved 19 January 2015. No city, save London, suffered more loss of life in one night’s raid on the United Kingdom. ↑ Barton, Brian, The Belfast Blitz: The City in the War Years (2015) p. 397. ↑ Keogh, Dermot. "Eamon de Valera and Hitler: An Analysis of International Reaction to the Visit to the German Minister, May 1945" (PDF). Irish Studies in International Affairs. 1 (3): 69–92. Retrieved 22 January 2015. ↑ Jonathan Bardon. "Extracts from an article, "The Belfast Blitz, 1941"". BELFAST BLITZ. Retrieved 19 January 2015. ↑ "Historical Topics Series 2 The Belfast Blitz" (PDF). BELFAST BLITZ. Retrieved 2 February 2015. ↑ BBC Radio Ulster. "Your Place and Mine - The Belfast Blitz". The Belfast Blitz. Retrieved 2 February 2015. ↑ "NORTHERN IRELAND GETS NEW PREMIER". The New York Times . 2 May 1943. Retrieved 23 January 2015. resigned after criticism from his own Unionist party with regard to the government's unemployment policy. ↑ "Munster". Commemorative Brochure. Maritime Institute of Ireland . Retrieved 31 January 2014. ↑ Barton, Brian, The Belfast Blitz: The City in the War Years 2015, p. 41-2. ↑ Peter Hughes. "The most unprotected city in the UK". BBC. Retrieved 19 January 2015. ↑ Wills, (2007). That Neutral Island, page 213. ↑ "Hidden Heroes of the Belfast Blitz". rte.ie. 16 April 2011. Retrieved 22 January 2015. ↑ Barton, (1995). Northern Ireland in the Second World War, page 46. ↑ Muldowney, Mary (2010). "Woman in Wartime: The Mass-Observation Diary of Moya Woodside". The Irish Review (1986-) (42): 58–71. JSTOR 20750128. ↑ Barton, (1995). Northern Ireland in the Second World War, page 49. ↑ "The Dublin Bombing". Dáil Debates, Volume 83. Dáil Éireann. 5 June 1941. Archived from the original on 22 September 2012. ↑ Tom Geraghty; Trevor Whitehead (2004). The Dublin Fire Brigade. Dublin: Dublin City Council. p. 229. ISBN 978-0946841714. ↑ Ingersoll, Ralph (1940). Report on England, November 1940. New York: Simon and Schuster. p. 194. Barton, Brian (2015). The Belfast Blitz: The City in the War Years. Ulster Historical Foundation, 655pp, new extended edition. Barton, Brian (1989). The Blitz: Belfast in the war years. The Universities Press Ltd. ISBN 978-0-85640-426-9. Barton, Brian (1995). Northern Ireland in the Second World War. Ulster Historical Foundation. ISBN 978-0-901905-69-7. R.S. Davison, ‘The Belfast Blitz’, The Irish Sword, Vol. XVI, No.63 (1985). Stephen Douds, Belfast Blitz: The People's Story, Blackstaff Press, 192pp. (Belfast 2011). Robert Fisk, In Time of War: Ireland, Ulster and the price of neutrality 1939-45 (Dublin 1983). Tony Gray, The Lost Years: The Emergency in Ireland 1939-1945. ISBN 0-7515-2333-X. Brian Moore, The Emperor of Ice Cream, novel set in the Belfast Blitz. Wills, Clair (2007). That Neutral Island. Faber and Faber. ISBN 978-0-571-22105-9. Account of the Belfast Blitz from a history of "THE DUBLIN FIRE BRIGADE." By Tom Geraghty & Trevor Whitehead.